Climate change will increase water-stress through irregular rainfall patterns and increased incidence of floods and droughts. 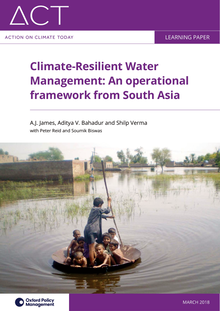 The Action on Climate Today (ACT) programme has developed a conceptual framework that clearly distinguishes Climate Resilient Water Management (CRWM) from traditional approaches to water management. The cost of climate change adaptation in South Asia could be as much as US$500 billion per year by 2050. 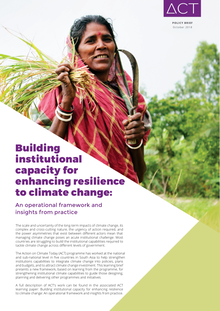 Insufficient funding remains one of the biggest barriers to climate adaptation action. However, few countries have successfully accounted for public spending on climate adaptation. 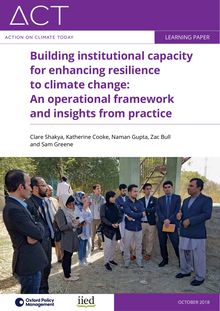 A new framework that makes sure government spending on adaptation is effective, has been successfully tested in South Asia.